Another helpful writing guide from Angela Ackerman & Becca Puglisi. 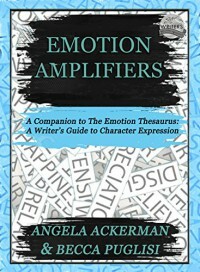 This dovetails nicely with The Emotion Thesaurus to include a nice little tutorial about ramping up the tension in your story, and then a few new emotive categories not included in the original books. I got this for free, but even if there was a small fee it would be worth it.